Nagqu Horse Racing Festival is the most important folk festival in north Tibet, which begins on August 1 and lasts from 5 to 15 days. 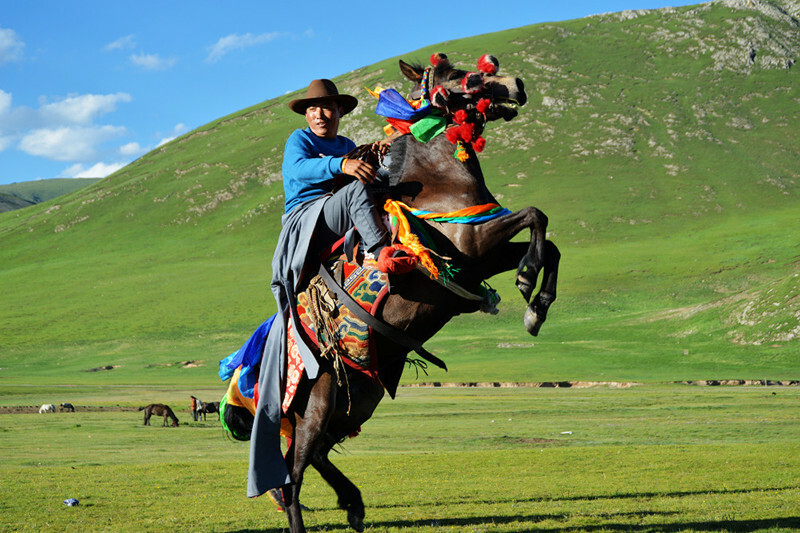 During this tour, we will visit the must-see attractions in Lhasa city and then take the train to Nagqu for enjoying the Horse Racing Festival. Visit the highlights of Lhasa city: Potala Palace, Johkang Temple, etc. Experience the Nagqu Horse Racing Festival. Welcome to the roof of the world – Lhasa! Upon arrival, met by tour guide and transferred to you hotel. Have a good rest and get acclimatized to the high altitude in Tibet. After breakfast at hotel, drive to visit Drepung Monastery – one of the three great monasteries in Tibet. Then move on to another one of the “great three” Gelug university monasteries of Tibet – Sera Monastery. Today take the train from Lhasa to Nagqu. Enjoy the breathtaking landscape on the way. Upon arrival, have a rest and explore freely around the hotel. During the two days, enjoy the Nagqu Horse Racing Festival. 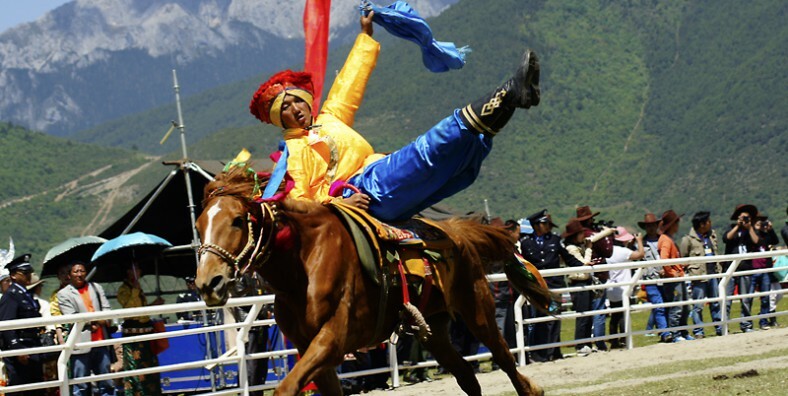 There are activities like horse racing, archery on horse back, yak racing, rifle shooting competition, wrestling, stone lifting, etc. What’s more, we can taste some Tibetan food and get some surprises at the trade fair. Today take a train back to Lhasa and arrive in Lhasa in early afternoon. The rest of the day is free at leisure. Today your wonderful Tibet tour will complete. Be escorted to the airport for your flight and service ends.